Thank you for visiting Patriot NationaLease, LLC & Patriot Truck Leasing of Indiana, the Midwest's premier leasing provider of trucks, tractors, trailers, roll-offs and hooklifts. Located near Fort Wayne, Indiana we are close to all of the major cities in Illinois, Michigan and Ohio. 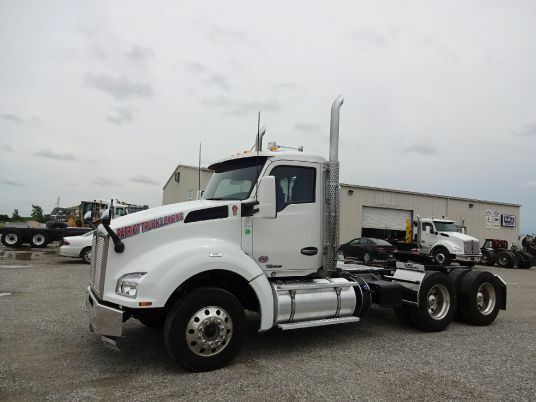 We offer a vast product line powered mostly by Kenworth T880s and Peterbilt 567s. We have a variety of truck types – tractors, American roll-offs, front end & rear packer refuse, Palfinger hooklifts and dump trucks. Our trailer lineup covers almost any application as well. 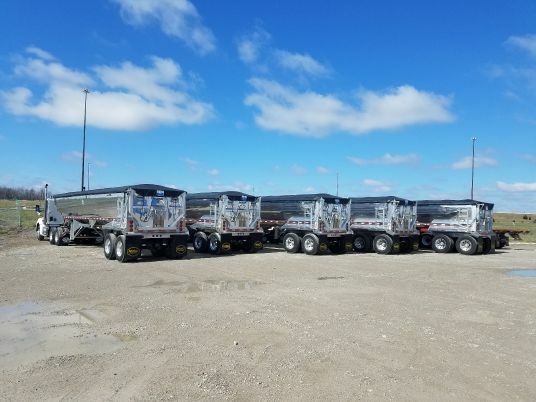 We can offer Maurer grain trailers, Dragon roll-offs, MAC trailers, Pitbull roll-off trailers and Trail King equipment trailers. We can offer a wide arrange of long-term leasing options to fit you needs. Many of our products are available for short-term leases including the roll-offs, refuse trucks, tractors and dump trucks. We have been in the trucking industry for over 40 years and look forward to helping you find the best fit for your lease. Learn more about our company now. Business Growth Opportunity: leasing provides flexibility to take advantage of new routes / contracts quickly and grow your business. Excellent Customer Service: leasing provides availability and adaptability to ensure routes are serviced eliminating down-time. Improved Productivity: leasing allows for preventative maintenance and eliminates route disruption/ downtime. Conserves Cash: leasing does not require an initial investment or down payment which eliminates possible strains on cash flow. Responsiveness: leasing provides availability for Seasonal Demands as well as Storm Cleanup and Emergency Disasters. Reliability: leasing allows you to replace an aging fleet with state of the art equipment. Tax Benefits: leasing expense can be written off as a business expense (consult your tax authority). Open Monday through Friday from 8:00am to 5:00pm (EST). Appointments may be arranged ahead of time for after hours. Can I talk to someone after hours? Yes, you can call 260-341-1311. What kind of trucks/trailers does Patriot lease? We currently Lease Tandem, Tri & Quad Axle Roll-off Trucks, Hooklifts, Tractors, Rear Loaders, Front Loaders, Side Loaders and Roll-off Trailers and Industrial Containers. What kind of trucks do you lease? We specialize in equipment for the refuse industry, including roll-offs and front, side, and rear loaders. 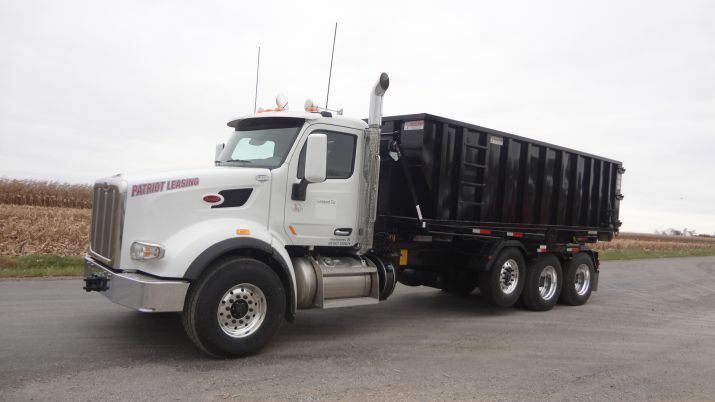 We also offer a broad assortment of Cab & Chassis Trucks, Tractors, Sleepers, Dump Trucks, Trailers, and Containers. Our inventory consists of new equipment and good used equipment.